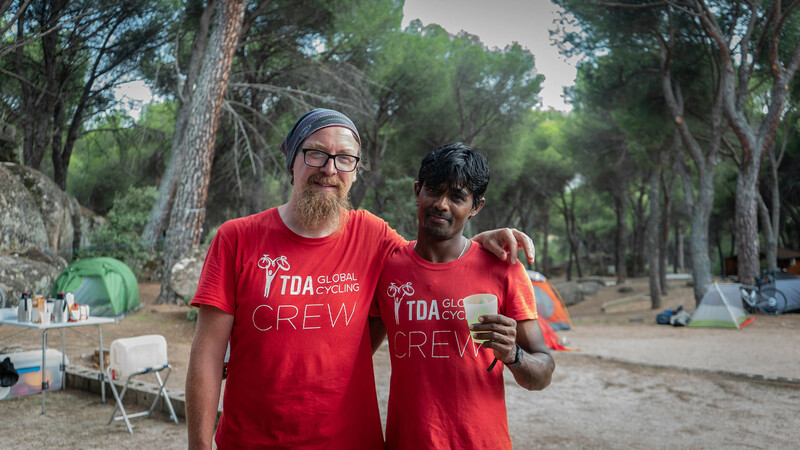 Working with TDA Global Cycling is a unique and exciting opportunity with many benefits. Please refer to the job descriptions below for the requirements of each position. TDA’s goal is for the successful candidate to return to work on at least three tours (with two of the three on the same tour). If you feel that you are qualified, please fill out the application form and hit submit. Please note that due to the volume of applications we receive we will only respond if there is a current position available that your skills are suited for. In addition to the specific tasks described below, all staff on tour share many other tasks on a typical day. 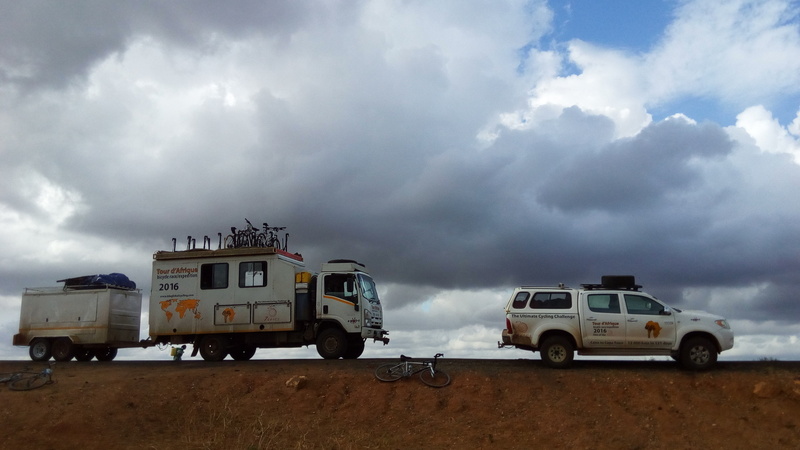 These tasks include setting up and preparing the roadside lunch, cycling “sweep”, kitchen / camp duties, recording GPS tracks, taking attendance as well as many other small but critical tasks which keep the tours running smoothly. Want to improve your chances of being hired? Each year we host special Staff Days. This is where you can come and join one of our tours to gain first hand knowledge of how the day to day operations work. Past Staff Days have taken place in Western Europe, Australia, and North America. We hope to host more of these in Africa, and South America in the future. 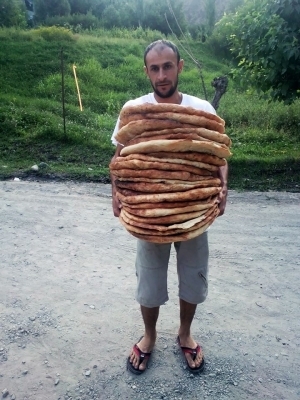 These are typically two to five days in length. You would pay your costs to meet us along the route, and then we cover your camping accommodations and food while on the tour (note: on hotel-to-hotel tours, you would be responsible to cover the hotel costs). Interested? Fill in our job application, and then email us to express your interest in Staff Days. We will review your request, and if we have future staff openings available that you may be suited for, we will gladly consider having you join our Staff Days. The Tour Leader oversees the entire cycle tour. The position involves coordinating group safety, food and water provisions, logistics, navigation, route selection, vehicles, participant health issues, rider meetings, staff meetings, border crossings, promotional events, accommodation reservations and details, bike donations, local contacts, sectional rider logistics, conflict resolution, emergency response and general troubleshooting. 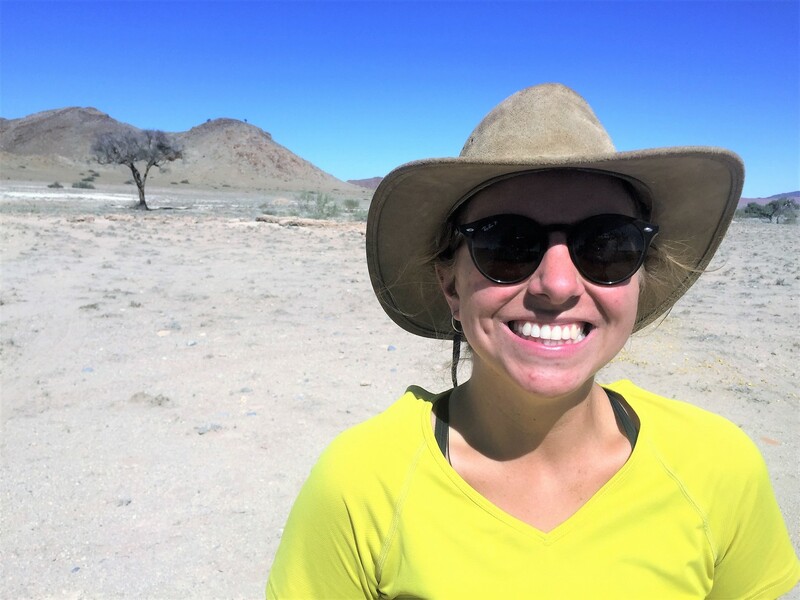 It is rare that we hire someone directly into this position; as every organization is unique, we typically like people who are qualified to start in at Assistant Tour Leader role in order to learn our systems. This is a training position for an individual who would like to become a Tour Leader on a future tour. The goal is to become intimately familiar with the route, logistics and overall framework of the respective tour. Responsibilities consist mainly of working with the Tour Leader to learn all the facets of their role, and take on responsibilities that the Tour Leader requests of you. TDA’s goal is that the successful candidate returns to work on many more Tours, hopefully in the Tour Leader position. It is not possible for us to hire people looking for a 1-time experience. This position is filled by a medical professional. Depending on the tour the Medic is typically a nurse, doctor or paramedic. 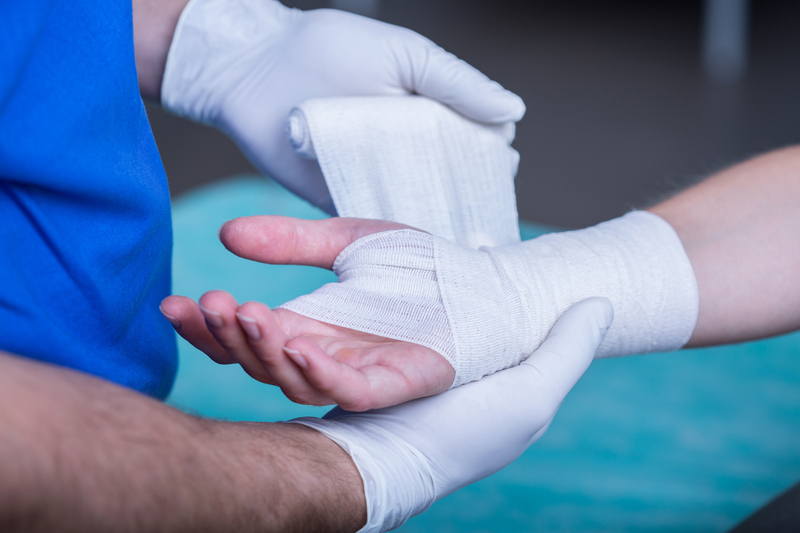 The main responsibility of the Medic is to take a lead role with all first aid and emergency situations on tour involving clients or staff. The Medic also deals with primary health care issues on the tour, within their scope of practice, and assists clients to access hospital or clinic care for issues unresolvable on tour, in consultation with the Tour Leader. The Medic must also maintain the medical supply inventory for the first aid kits in all vehicles and track all medical expenses incurred during the tour. The Medic also documents all medical assistance given during the tour. The Medic must ensure hygiene protocols are in place and that all staff and participants conform to these protocols. We typically bring a medic on our tours that take us into the most remote areas, such as; Africa, Asia, India, and South America. Interested in the chef position? Click here to read more and apply. 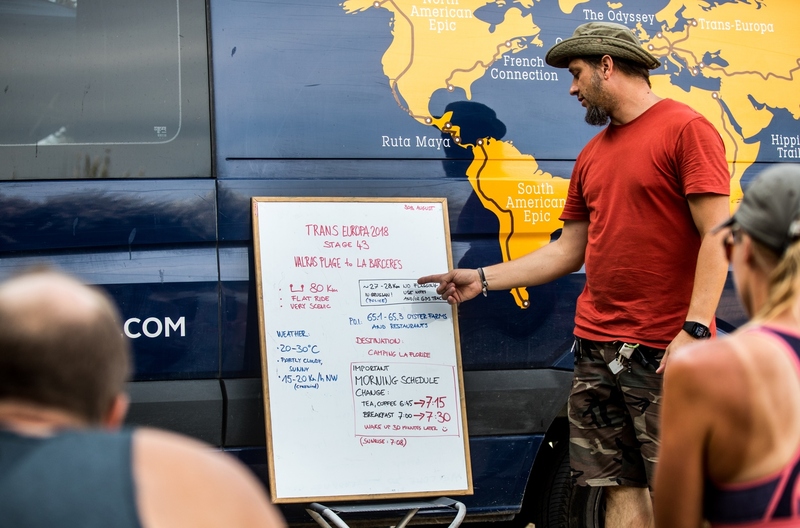 The bicycle mechanic is responsible for maintaining the bicycles for all participants during the tour, including repairs, overhauls and tune-ups. The mechanic also helps train the clients in preventative bike maintenance and bike cleaning, which the clients are directly responsible for themselves. 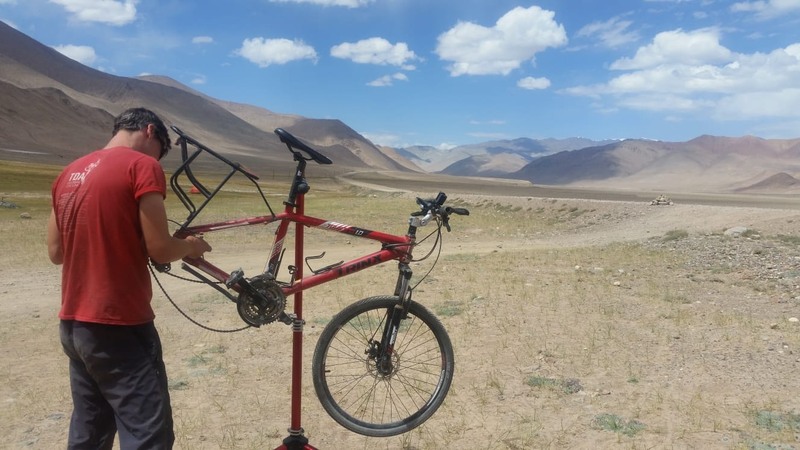 Clients bring a wide variety of bike types to the respective tour, so comprehensive bike knowledge, and the ability to work with different parts and be resourceful is key. The bicycle mechanic is also responsible for maintaining the company’s inventory of bicycle tools and equipment during the tour. The Content Creator is the story teller on the cycling tour. Through their videos, photos, blogs, and social media posts they will be sharing the experiences of life on the road, and the challenges and rewards that come along with it. 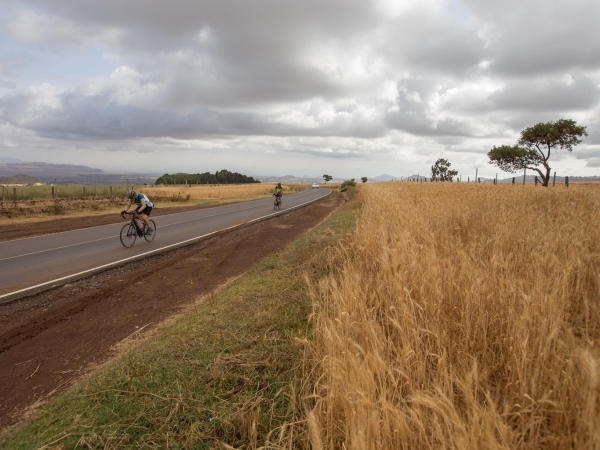 By shooting from a bike or vehicle, and conducting interviews with the participants, they will find stories and moments that capture the essence of what long distance cycling is all about (hint – it’s about much more than cycling). The successful candidate must have some experience in videography and photography, and be able to supply their own gear. They should also have a thorough grasp of social media engagement strategies, and how to grow and maintain an audience online. Writing experience (journalism, blogging, creative writing) is also a big plus. This position exists on our Expedition style trips. The candidate who best suits this role will have a valid truck driver’s license and proof of a clean driving record, be 25 years or older, experience in left and right hand driving, and experience in off-road driving. They must also have good navigation skills, and good people skills. The candidate will be responsible for the daily logistics, maintenance and smooth running of the vehicle they are driving. The candidate will also be dealing with border officials to ensure quick and efficient crossing of all the vehicles, supervising the setting up, maintenance and breaking down the daily camps, and ensuring the safety of the passengers on their vehicles. If you are a university/college student or recently graduated in marketing, sales, design, web development, or business management and looking to get some hands on experience, then we might be a good fit. Our internship positions are typically unpaid, but you do earn credit towards cycling on one of our tours. Positions would be for someone Toronto-based. Internships are typically three to six months long. If you are a freelance journalist, photographer, film maker, or videographer and think you could get TDA some exposure in the media, let us know. We would be happy to discuss a media rate for one of our tours. You might also want to review our press page. 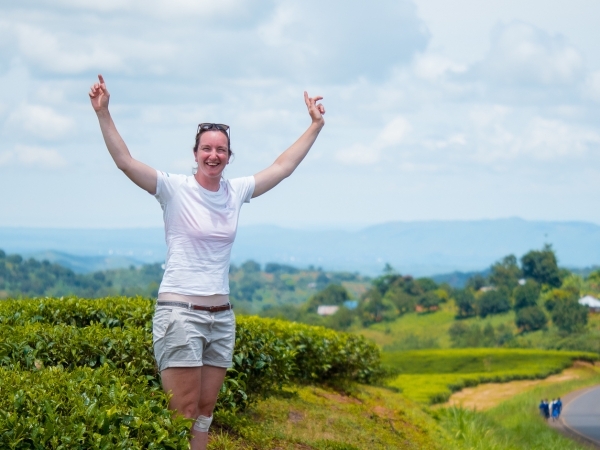 Become familiar with the finer points of travelling to destinations off the beaten path. This is a rare opportunity to visit countries most people will never travel through on their own. You will not only have this experience at no cost, but will get paid as well. A proactive and hard-working person will excel on these tours. You will gain leadership skills through modelling the techniques of the senior tour staff, and through active participation in leading the tour. 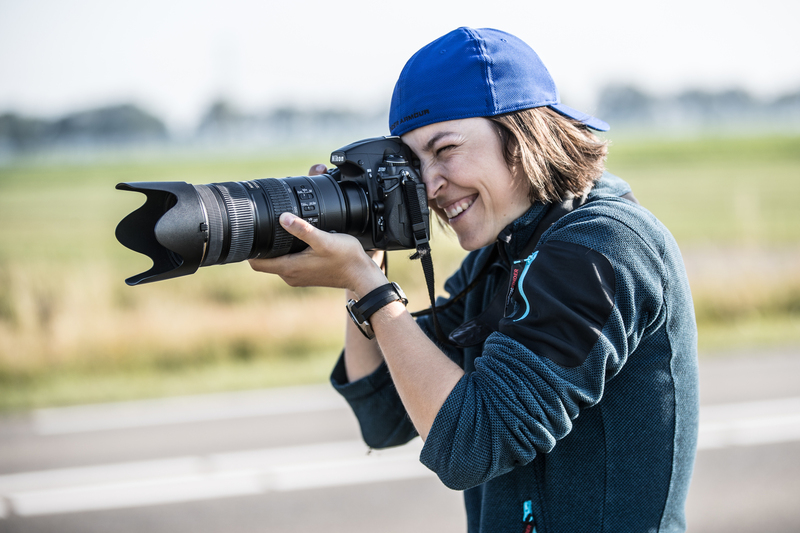 You will work closely with the other talented tour staff, and learn useful skills along the way – photography, writing, video, bike mechanics, cooking, and other practical skills for outdoor adventures. Our tour staff have access to generous pro deals from various outdoor gear brands. These offers can help you get all the gear you need for the tour, and for your future outdoor adventures.